Passive candidates are some of the most elusive creatures in the talent acquisition sphere, second only to someone with QlikView in the state of Utah, who seem to be more rare than a 1849 Double Eagle gold piece. Recruiters will often talk about connecting with, recruiting and hopefully on-boarding passive candidates as if it were a one-time event, a grand slam in the 10th inning of the World Series or far more damaging – something that “just cannot be done”. The trick with passive candidates is to treat them as candidates, regular ones, who are complacent with their situation. If they are well-compensated, they may rationalize long hours, poor work-life balance and a miserable boss. Others may be waiting for the growth opportunities that have been long on promise, short on delivery. 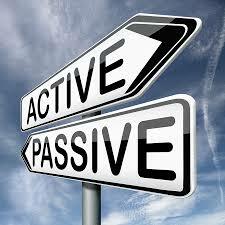 Passive Candidates aren’t as ”passive” as we’d like to think. Given the right opportunity they can be extremely active and you don’t have to break the bank to get them on-board; it’s simpler than that. In exchange, you cannot afford to be a passive employer/recruiting team. Think about it; when was the last time you had the conversation with a candidate that didn’t get the offer, other than sending them a formal, generic, thanks but no thanks email? For the larger percentage of candidates that didn’t make the first cut, that is reasonable, even sufficient. However, if you have spent time with a candidate, brought them into your business, shared your departmental goals and learned more about them, why would you then passively let them slip into oblivion? Many times, recruiters have made the hard phone call to a candidate who didn’t get the job, to debrief with them about their interview, further opportunities and ongoing job search; only to discover that they had a skill set they didn’t include on the resume because they were afraid they would be “overselling” themselves. You may not place them, given the new information, and they will likely go on to other opportunities, but they are no longer the “passive candidate”, they are quite literally an active candidate. They showed interest in your business. Had it not been for someone more qualified, a non-fit for team dynamics, or a hundred other reasons that don’t relate to their ability to get a job done, you would likely have placed them. The next time an opportunity comes up you can call them, and bring them on-board very quickly. The difference is, because you chose not to be passive, you didn’t have to face the fear and difficult task of connecting, recruiting and onboarding “passive candidates”. Once you choose to be active in all aspects of the recruiting process, you’ll never have to deal with passive or complacent candidates the same way again. This entry was posted in Passive Recruiting, Recruitment Strategy on April 30, 2015 by ZFR. Just when you’ve grown accustomed to Generation Y (Millennials in the workplace), HR leaders are being advised to prepare for the introduction of Generation Z to the workforce and their own demands. With millions of babies being born each day, this demographic will soon make up the largest segment of our populations. These young adults are often described as an “extreme version” of the Millennial, if you can imagine that. They live in a world where they need more than two devices to stay connected; they are speedy communicators and have an innate ability to be productive and to make an impact. 1. Distraction: Gen Z-ers are constantly swapping between multiple devices and numerous digital tools which have enabled them to have tremendous skills in multi-tasking. They are dialed into all social media portals and they can use some sort of application for almost everything they do. It’s more important now than ever that your recruitment strategy is social and mobile. Applicant tracking systems will help enterprises to understand which channels Generation Z are using the most to connect with the company and optimize their recruitment strategies for these channels. 2. Visual: 20-somethings have a short attention span and are highly visual so consider how to make your brand standout through visual technologies. You could tweet a 6-second Vine video or upload a video to YouTube and tweet the link. 3. 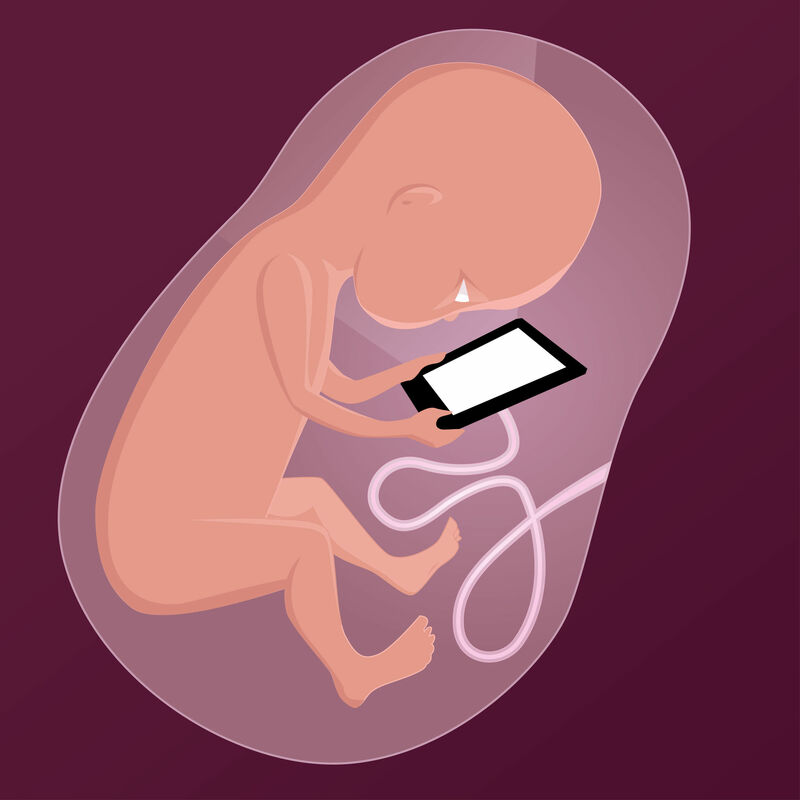 Technology savvy: This generation was born fully equipped with smart phones and tablets. They appreciate being flexible, adaptable, smart and fast. Therefore, if you haven’t already done so, it’s critical to have a mobile app, a mobile career site for candidate applications, videos, blogs and social updates, all with a simple look and feel. You should put emphasis on being agile and visual! 4. Collaboration: This population is extremely interactive, therefore you tailoring the way that you engage with them is important; they are highly expressive and prefer the interpersonal connection. This generation wants to get to know their peers, managers and leaders on an intimate level. They are also fantastic thought leaders, which make for excellent discussion! We know that live video interviewing is gaining popularity but, with this generation, it will be a must-have and they will expect to engage early on in the recruitment process. Sending SMS text notifications for interviews, sending feedback surveys, subscriptions to online blog communities, and social events are all great ways to keep this on-the-go candidate engaged and committed. It’s important to start to prepare for Generation Z now as they may well be the change that so many businesses desperately need in increasingly digital, competitive and global environments. This entry was posted in Recruiting Trends, Tips on April 28, 2015 by ZFR. 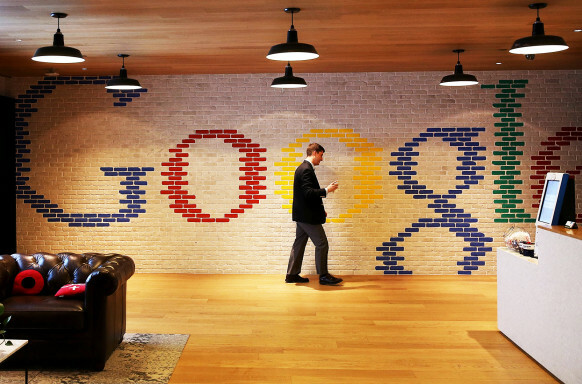 Best known for its innovative spirit, it’s no surprise that Google would apply this same philosophy every aspect of the recruiting process – even the job interview. Lucky for this $350 billion behemoth, Laszlo Bock, the company’s Senior Vice President of People Operations, knows how to shake up the traditional job interview to better predict how a job candidate will actually perform if they joined the organization. When you hear stories about how Google interviews candidates, across the board, the sentiment is the same – it’s an experience like none other. Instead of asking well-meaning, but insight-deficient, questions (“Tell me about yourself.” “What is your greatest weakness?” “What is your greatest strength?”), Bock decided to put a little bit of science into the process. With a well-structured approach assessing behavioral and situational approach intelligence, candidates are asked a consistent set of questions with clear criteria for determining the quality of their responses. By applying data analytics to assess the outcome of the interview process, Google is better equipped to pinpoint which candidates have the best potential for success at the company. Could Google’s approach work for every business? Granted, Google’s method is not a one-size-fits-all solution. But there is one aspect that recruiters and hiring managers can apply: predictive analytics. According to the Center for Business Intelligence inquiry “The Science of Hiring: How HR Analytics Can Help Fix the Talent Crisis”, “Analytics is not a silver bullet for the challenges HR teams face, but it can provide a stronger foundation for finding, recruiting, hiring, and retaining people who not only have the skills to succeed but who also align with an organization’s culture”. Of course, this approach is easier said than done. Brock cautions, “People will disagree with data if it runs counter to their intuition and argue that the quality bar doesn’t need to be so high for every job.” But, it appears that Google’s approach to job interviews is working. Hailed as the most successful Internet company of our time, Google has not only made accessing information more convenient, but it also changed how we live, work, and play. And its success would not have been possible engaging the right people from the very start – the job interview. This entry was posted in Interviewing, Recruitment Strategy on April 23, 2015 by ZFR. Automation has become an enormous part of our everyday lives, from coffee makers turning on at 6 a.m. sharp to Gmail sorting through emails to Amazon auto-shipping another order of paper towels. Both at work and in our personal lives, we’ve become so reliant on it that we don’t even think about it. It’s just as true in recruiting, where like the rest of the world, we rely on automation to drive results, improve productivity and simplify tasks. However, it’s more important in recruiting than possibly anywhere else to remember the basics. The problem with the way many recruiters are working is that they see technology as a replacement for human interaction, but this idea is fundamentally against everything we know about recruiting. 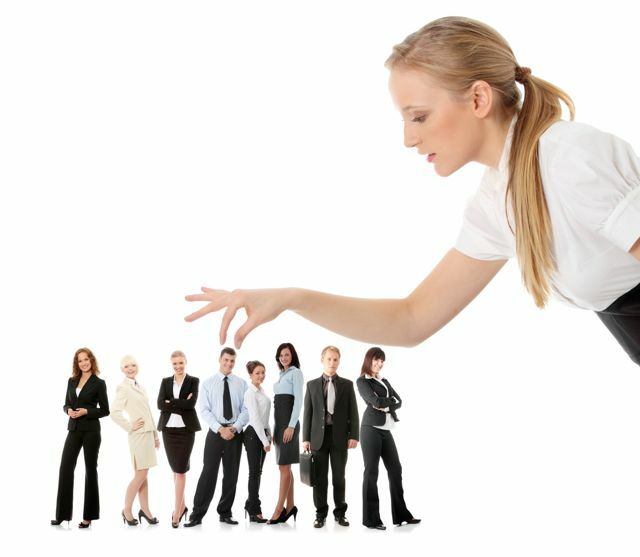 We know that recruiting has always been and always will be a relationship-oriented, high-touch business, which means a computer will never be able to replicate all that a recruiter does to bring in the best and brightest. And that’s exactly why it’s time to rediscover the art of recruiting, and find out what it means to be human driven and automation supported. HR and recruiting’s use of technology must go hand in hand with exercising good-old-fashioned human interaction and relationship building. It requires a perfect balance of the two and an understanding of when to use each. Above all else, engagement should be where you’re focusing the majority of your time and energy, so be careful not to get in the mentality that the recruiting technologies you use are doing the work for you. Technology and automation enhance what recruiters do, but they’ll never replace it. The value that technology and automation bring shouldn’t be ignored. There’s a reason recruiters have become so technology dependent. It makes things easier. The best way you can use these tools is to first of all choose the right ones and secondly, let them take care of tasks that take away from you being able to engage with candidates. Put technology to work so you can make time for conversation-focused recruiting. If we’re going back to the basics of how recruiters recruit and why they do what they do, then I have to talk about the reputation companies gain with candidates over time. This area, above all else, is so heavily reliant on the people doing the recruiting. A reputation of excellence is gained over time by doing things the right way and valuing human interaction. While technology makes your job easier and can support and reinforce your efforts, candidates will remember you above all else. Don’t put in time and effort in the beginning only to let those connections fall by the wayside. Make follow up and feedback part of your normal routine, and use technology to help you track and remember this. Technology and automation can even be used in your follow up and feedback, but remember that from beginning to end, or from the first interaction to the last, the human element is key. Recruiting is built upon a foundation of conversations and relationships, but when executed properly, technology can support and enhance what recruiters do. Its magic lies in allowing you to place the focus back on the lost conversation and engagement-oriented history of recruiting. This entry was posted in Recruitment Strategy, Tips on April 21, 2015 by ZFR. 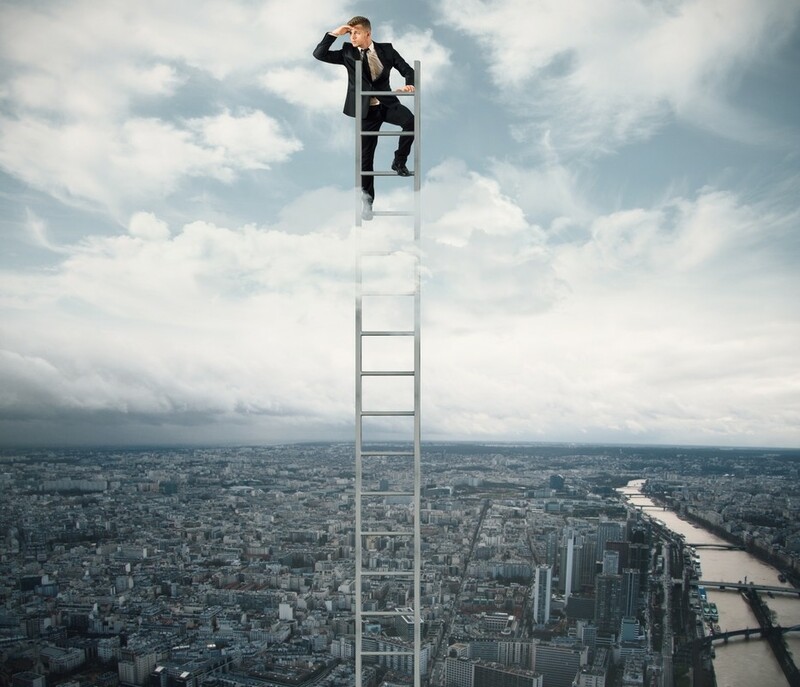 Talent Shortage – What Does It Mean For Employers? The markets are at record highs while unemployment rates are consistently dropping. Does that mean we are in a candidate friendly market? Listening to anecdotal information from recruiters, it certainly seems that way. But is there any additional data to support this argument? HireRight recently conducted their annual Employment Screening Benchmark survey and found some interesting data points pertaining to this topic. While the report tends to focus on trends and best practices of background screening, the results also hint that we are, indeed, heading towards a candidate market. They found that a sizeable majority of companies who responded (76%) plan to increase hiring in 2015. In fact, slightly more than a quarter of respondents expect to grow their workforce by 6% or more this year! Survey respondents also indicated that most of this growth would come from new employees, rather than temps or contract workers. This suggests that employers are finally moving past the effects of the Great Recession. This is a simple matter of supply vs. demand. The demand is increasing as more employers look to increase their operations while the supply of available labor is steadily decreasing. The end result is that recruiters have to fight harder for a smaller number of available candidates. Simply posting an opening on the career page may no longer suffice. Instead, employers should develop more proactive recruiting strategies, such as engaging with potential candidates long before the actual job opening exists. In effect, a smaller talent pool will likely force increased foresight and planning on the part of the employer. It’s difficult to believe that just today, 10,000 baby boomers reached retirement age. And if that isn’t shocking enough, consider that this event will repeat itself every single day for the next 15 years! With them, they will also retire decades of accumulated work, managerial and leadership experience. Where does that leave employers? To fill their ranks, recruiters and hiring managers will need to leverage the new perspectives and fresh capabilities of the millennial generation. Nevermind the cost of simply recruiting a new employee, estimated to be between 1.5x to 3x their annual wage. Average wages themselves are also starting to grow somewhat, up 2.1% in 2014. For employers, this is a double-whammy. Not only does it cost more to hire new workers, but existing employees also have more incentive to look for fresh opportunities. Which leads us to the next point…. If workers have more employment opportunities, they will also become more discerning about their options. Such candidates will naturally judge their recruiting and interview experience with you more critically. This means that your organization probably can’t afford to offer a second-rate candidate experience. Especially if your competition is busy wowing their candidates. This means putting a human face on the recruiting experience, offering a mobile-friendly job search and application format, communicating about the status of the application, as well as simplifying and integrating the end-to-end application process (including the background screening aspects.) Unless, of course, you’re willing to settle for second-tier talent. 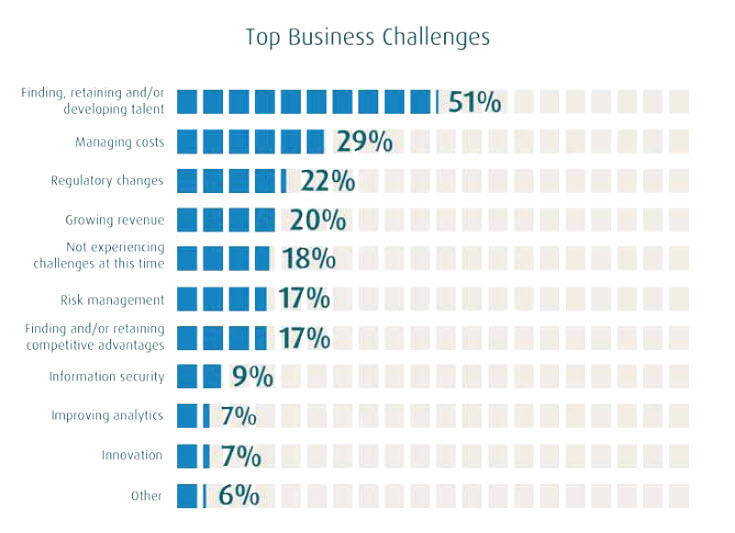 Given all of the above, it is not surprising that HireRight’s survey found that “finding, retaining and/or developing talent” was the number one business challenge cited by respondents. In the rapidly approaching era of the talent shortage, employers will need to be prepared to ensure a great candidate experience if they expect to remain competitive. This entry was posted in Recruiting Trends, Recruitment Strategy on April 16, 2015 by ZFR. If you’re recruiting a team for your startup venture, you probably have an ideal type of employee in mind. It’s possible that the type of employee who’s a great catch for a large corporation isn’t the one you want on your team – and it’s possible that the people you want on your startup team won’t be attracted by the same things as people who want to work at established companies. The biggest challenge for startups is finding the right people. It’s crucial to find people that have the skills, motivation, flexibility, and attitude to succeed in a variable, fast paced, and frenetic work environment. Startups are not usually in a position to offer the high salaries, predictable hours, job security, benefit packages and perks that established companies can. You’ll have to work to find people who embrace challenges, and are willing to make big sacrifices for greater success down the road. Your startup probably doesn’t have the resources to pay an executive recruiting agency to find the right people, so you’re going to have to take a grassroots approach. Therefore, the more detailed and articulate your job description, the more likely you’ll be to attract the people you want. Targeting passive candidates could be the way to go in this situation. They tend to have the qualifications, experience and characteristics that startups require to build a strong team. Unless an applicant has a compelling reason for wanting to work in a startup, they might lack the creativity, drive, vision and resourcefulness you’re looking for. An easy starting point is to look for people who already have entrepreneurial experience – and don’t forget to ask about their own startup projects. Rather than hiring someone with a fixed skill set, look for a jack-of-all-trades. You want intellectually curious fast learners who aren’t afraid of leaving their comfort zones. Populate your startup team with flexible, multifaceted people who are willing to take on a variety of tasks, and watch your talented staff grow off of itself. Recent college grads are often willing to take on the extra responsibilities and long hours that a startup business demands for the prospect of a meaningful work experience. They’re also often willing to work for lower salaries, and they’re excited by the prospect of growing with a new company. If you’re not willing to take a chance on someone with little employment history, look for people with around two years of experience who are looking for a new challenge. 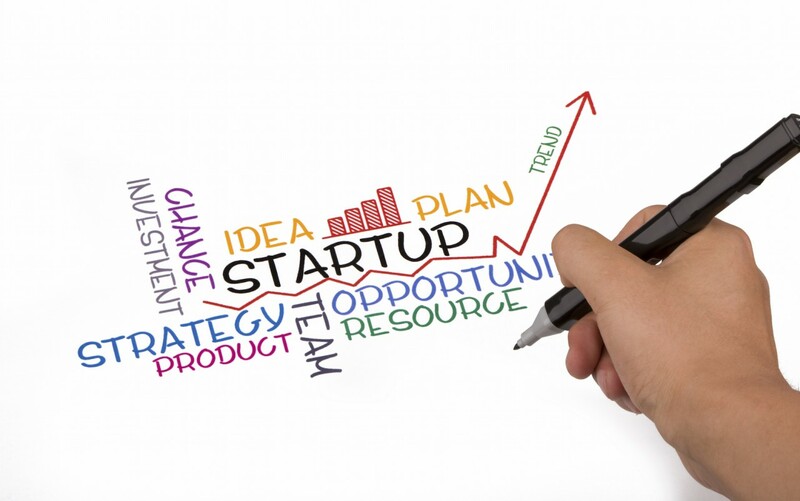 Someone who eventually wants their own startup – or someone who has had a startup that failed – may see your job as a way to learn more about the ins-and-outs of creating a successful venture. These candidates can bring lots of enthusiasm to your startup, because they see it as a learning opportunity. They’re interested in all aspects of the startup process, and they’re willing to do whatever it takes to help the venture succeed. The only downside? Down the road, they’ll probably leave the fold and go out on their own. In the meantime, having them on your team can be incredibly beneficial. It takes a special kind of employee to jump right into a business venture and learn as they go. You probably won’t be able to provide extensive training, supervision and support, so look for resourceful people who can figure out what needs to be done and then do it, without a lot of hand-holding. The right people for your startup will come in all shapes and sizes. Look for talent rather than a specific role. You’ll be better off with people who believe in themselves, think outside the box, enjoy being challenged, and aren’t afraid to take risks. This entry was posted in Recruiting for Startups, Tips on April 14, 2015 by ZFR. 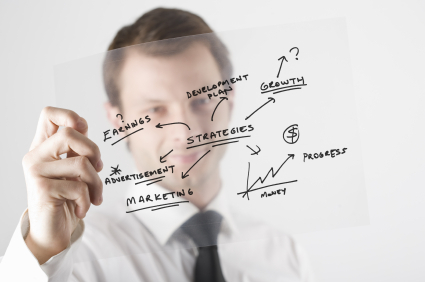 Many questions come up when going down the path of hiring a Business Analyst. What does the role entail? How do you know you’re getting someone who’s going to become a truly integral part of your team? – Meet with stakeholders to define requirements and project priorities. – Identify impact of proposed changes on end-user experience, functional departments, systems and business process. – Clearly document the requirements, incorporating flow charts, wireframes, or other visual aids, as needed, for both technical and non-technical stakeholders. – Define current and future states and identify gaps. – Act as SME for the project to various internal groups, such as engineering, QA, and analytics. – Ability to work with a variety of stakeholders who have different levels of technical expertise. – Adept at interviewing individuals and groups regarding their business requirements, successfully collaborating to define functional requirements and assign priority. – Demonstrated ability to employ diplomacy and strategic thought leadership to effectively resolve challenges and architect solutions. – Proven ability to translate complex and potentially ambiguous information into professional deliverables that can be used to obtain stakeholder approval with minimal guidance. – Exceptional oral and written communication skills. 1. Great BAs communicate like they care. This goes both ways: as they’re learning about a new initiative, picking up a new skill, or working with the local SME on a subject crucial to their work, you’ll see great BAs nodding along with a glint in their eye. They love to learn, and it’s easy to teach them because they’re enthusiastic and excited about the prospect of adding to their knowledge base. They also tend to be excellent listeners even if they’re not learning something new. They naturally respect other’s opinions and genuinely want to help bring together various points of view. 2. Great BAs are naturally proactive and curious in their entire approach to the job. When new to the organization, a great BA isn’t going to wait to be handed a pile of references to read. They’re likely to poke around the company wiki and other resources on their own just to quench their thirst for information. In meetings and conference calls, they’ll be asking plenty of questions, and their questions are smart. When they get to the point of offering status updates on projects and processes, it isn’t a simple “here’s what’s happening now.” Instead, it is backed up with “and here’s what I’m doing about it,” which turns their analysis into actionable insights. 3. Great BAs knows they aren’t an island. Their entire thought process is about win-win for the whole team. A great BA loves to work in a team and views his role as integral to the team’s success. Likewise, he views the team’s success as necessary for his own. There is a mutual desire to improve and achieve a common goal. Using this deeply held belief, the great BA tends to be well-liked and relied upon by all on the team rather than being viewed as an outsider sent by management to check up on things. So, if you’re tasked with hiring a Business Analyst and want to make sure you’re getting the best person for the job, keep your eyes peeled for the man or woman who excels in these three areas. Then, train them to be the perfect BA for your organization. This entry was posted in Recruitment Strategy, Specific Positions on April 9, 2015 by ZFR. When you’re building a virtual team, you need employees who are self-motivated, trustworthy and have the skills needed to hit the ground running. These are important characteristics for any employee, of course, but they’re even more critical for someone who’s going to be working from a distance. It’s not always realistic to interview virtual candidates in person, so how can you be sure you’re choosing the best fit for the job and your company’s culture? If it’s not possible to meet candidates in person, arrange a video interview through Google Hangouts, Skype, or another web-based video conference tool. This gives you an opportunity to assess non-verbal cues, just as you would in person. If a candidate tells you he or she is outgoing and has excellent customer service skills but refuses to smile or make eye contact, that’s a red flag you’ll be glad you caught before making an offer. 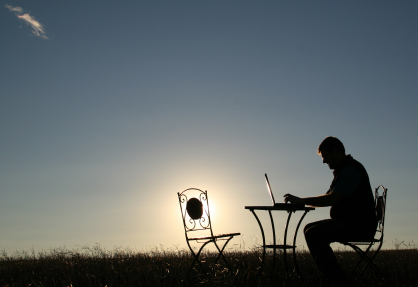 Not everyone is well suited for working as independently as remote employment requires. A candidate may appear qualified for the job on paper but find himself struggling in the less structured environment of a virtual team. What is your primary source of motivation? Tell me about a time when you had to complete a project with little or no supervision. How did you keep yourself on task? This job often requires juggling multiple deadlines at once. What makes you well-suited to do this? Can you give an example? How do you manage your time and stay organized? Anyone can claim to have stellar project management skills or top-notch abilities as a web developer, but you’ll want to be sure they can perform just as well under pressure. Put their skills to the test by assigning them to complete a project. This should give you a good demonstration of their abilities so you have a better idea of what you can expect if a candidate started work tomorrow. Once you’ve narrowed down the candidate pool to just a few top contenders, it’s worthwhile to get input from others—especially those with whom the candidate will have close working relationships. Zapier, a company that specializes in web application integration, has a unique process for the final step of candidate selection. The hiring manager asks candidates to prepare a short presentation on a topic of their choice and present it to up to 15 members of the team via Google Hangouts. Team members then have the opportunity to ask questions and engage in a conversation with candidates to get to know them better. This allows everyone to see how a new hire would fit into the company culture, an important but often overlooked factor to consider. The process of hiring remote workers may not be exactly the same as your standard process for selecting candidates in person, but that doesn’t mean you can take shortcuts. The candidate you ultimately choose will need to have all the same skills and qualities you’d expect of someone who works alongside you in the office each day. Beyond that, he or she will also need to be exceptionally self-motivated to be productive in a virtual environment. This entry was posted in Interviewing, Recruitment Strategy on April 8, 2015 by ZFR. It’s no secret that the world of work has changed – but the fact of the matter is, recruitment, largely, remains stuck in stasis, with many employers failing to adopt the tools and technologies today that will be required to compete for – and win – top talent tomorrow. While new systems and software can seem scary, the good news is that these tools can actually help handle some of the most manual and monotonous parts of the hiring process, like sifting through stacks of seemingly identical resumes and generic cover letters, freeing them so that they can focus on finding, engaging and attracting the best and the brightest candidates available. As technology continues to advance and become even more omnipresent in our everyday lives, it’s up to recruiters to create scalable, sustainable strategies to reach today’s candidates in real time, all the time, no matter where in the world of work they happen to work. Because if you aren’t keeping pace, chances are, you’re already losing the competition for great candidates to those employers who aren’t stuck in the staffing stone age. If you’re still relying on spreadsheets and a mostly manual hiring process that focuses on paperwork more than people, here are 5 hiring tools you can use to keep up with the times – and the competition. Employers aren’t the only ones trying to stand out from the increasingly cutthroat and competitive labor market; candidates are increasingly experimenting with new ways to get noticed beyond simply shooting resume after resume into an ATS and hoping to get a phone call. Increasingly, this means reinventing the idea of a ‘resume’ altogether, and we’re not talking about switching to colored fonts, fancy card stock or unconventional formatting. We’re talking video. The rise of video resumes might not be replacing the traditional paper based documents any time soon, but these do offer an ideal way to go beyond simply listing skills and experience to really showcase their soft skills and speak to culture fit, too. Many candidates, frustrated by the relative unresponsiveness of recruiters, often think that if only they could somehow get at least a look, they’d see what they’re really missing out on. Well, now any candidate can get a look – and present themselves as more attractive potential hires by leveraging video to create a picture worth a thousand resumes. The good news for recruiters is that video resumes make assessing candidates easier for them, too – a rare example of a recruiting win-win. Yeah, social recruiting has become pretty passé by now, but professional networks have taken center stage in today’s talent acquisition process. These networks, LinkedIn being the most prominent example, are currently the fastest growing global source of hire, increasing 73% over the past 4 years alone. This speaks to their increasing efficacy and mainstream adoption as a core component of the modern job search for candidates and employers alike. While the most prominent social platforms like Facebook and Twitter can help recruiters and employers learn more about a candidate’s personality, professionalism and presentation style, professional networks were created primarily to connect job seekers with recruiters, employers and third party agencies, and have features and functions designed to facilitate that end goal not found on more traditional social networks. These features include the ability to apply directly for jobs or share referrals to their onsite social connections. These platforms present a powerful way to target and engage top talent while building a magnetic employer brand (and pipeline) for future hiring needs. If you’re not making the most out of professional networks, you’re missing out on one of today’s most valuable recruiting resources – so make sure that this is one tool that’s always part of your toolbox. Video interviewing has seen a dramatic rise in adoption by employers, and not just for those looking for remote workers or considering candidates in different markets or regions. Video interviewing now offers both the ability to have a two way conversation between employers and employees as well as the chance to have candidates respond to preset questions that allow recruiters and hiring managers to screen whenever or wherever they want. This one way video interviewing capability, at least, gives recruiters the chance to improve efficiency and increase their chances that no great candidates slip through the cracks by providing a powerful new way to watch up to watch up to 10 video interviews in the time it takes to perform a single phone screen. When it comes to productivity hacks, this one’s a no brainer. Whether conducting one way interviews at your convenience or utilize video for live interviews, this emerging medium can assist employers in assessing not only a candidate’s body language and nonverbal cues sent when responding to certain questions, but also their overall presentation style, presence and professionalism, too. No more unpleasant in-person interviewing surprises is one outcome every recruiter should be eager to start seeing. Video helps ensure that what you see, at least during the screening and selection process, is truly what you get when a candidate shows up on site. Many of us are so glued to our mobile devices that they’ve more or less morphed into extensions of our bodies, an appendage that’s omnipresent no matter where we are or what we’re doing. In fact, those “Gen Y” workers recruiters seem so concerned with – the 18-36 year old demographic – check their smart phones an average of 43 times per day. With so much time spent basking in the glow of our mobile screens, it’s crucial that employers make sure they’re able to reach candidates there, too, and not have hiring remain chained to a desktop. Not only are more job seekers using mobile devices to search for or browse job postings and career content, but they’re also increasingly demanding the ability to apply for those jobs on the go, too. Given this trend, it’s important to optimize your online career sites and employer branding initiatives specifically for these devices, creating a seamless and painless user experience for mobile users. Adopting mobile recruiting not only creates convenience and conversions, but improves candidate experience, too. If you’re still not sure whether or not your hiring process is built for mobile, try applying for one of your open positions on a mobile device – and if you can’t, it’s probably time to start looking at new systems and solutions, stat. Big data is making big waves, and big changes to the business of hiring and the recruiting industry in general. That’s because these concepts represent a powerful approach for adopting analytics to find better talent faster than ever before by provide insights and information to help recruiters recruit smarter. Rather than spend your time manually reviewing a ton of resumes and dispositioning them one at a time, employers are increasingly adopting matching tools and technologies with specialized algorithms designed to search for and stack rank the most qualified candidates among the often hundreds of resumes flooding in for every open position. These programs leverage more than just resumes for generating results, though, and many incorporate a broad range of candidate related data, such as social profiles or automated assessment tools – to filter by skills and qualifications, too. Big data allows recruiters to eliminate guess work and eliminate waste throughout the hiring process, from cutting down on paperwork to preempting poor hiring decisions by filtering out all but the most highly qualified candidates. Sure, most of these sound like buzzwords, but that’s because they truly are a sign of the times – and if you’re stuck in the past, you’d better start adopting these technologies today, or lose out in the future war for tomorrow’s talent. This entry was posted in Recruiting Trends, Recruitment Strategy on April 2, 2015 by ZFR.